Today's blog presents several Union Pacific railroad bridges that cross roads, rivers, and expressways as we continue southeast through Santa Cruz County The first bridge is the South Aptos Underpass (36C0069) a single span steel stringer bridge on seat type abutments that crosses over Soquel Drive (see photo above). This bridge is 65 ft long and it was built in 1924. 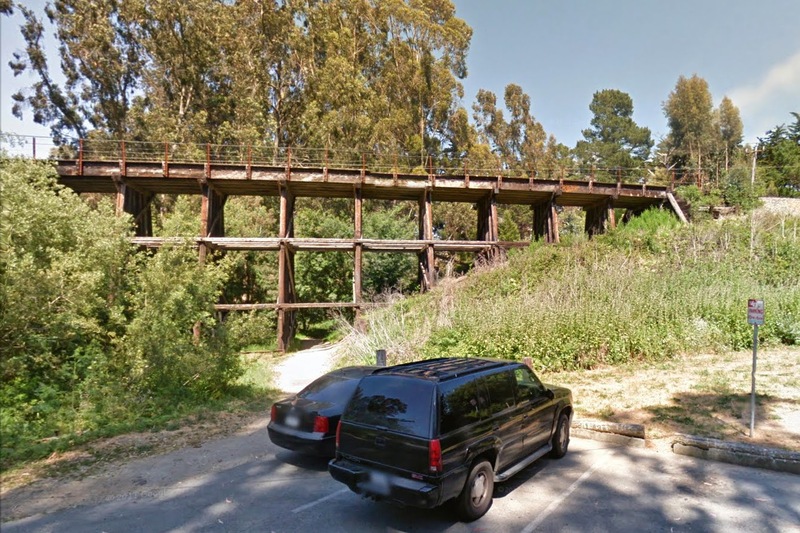 The next bridge is a 3-span steel plate girder structure with a very deep and long center span across Valencia Creek. The next bridge carries the Union Pacific railroad back across State Route 1. 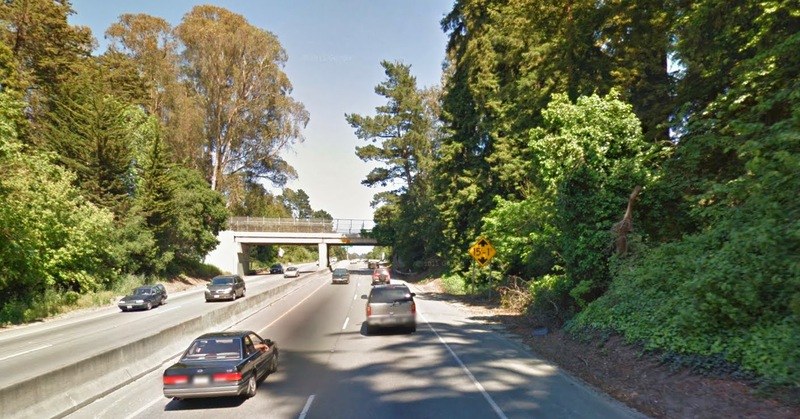 The South Aptos Underpass (36 0003) is a 2-span, 89 ft long steel stringer bridge that was built in 1948. Just east of the South Aptos Underpass the railroad tracks descend below grade and are crossed by Rio Del Mar Blvd on the Aptos Overhead (36C0114). Continuing to the east, the tracks are carried by several timber trestles over ravines that drain into the Pacific. Santa Cruz County, California Bridges: Union Pacific Bridges by Mark Yashinsky is licensed under a Creative Commons Attribution-NonCommercial-NoDerivatives 4.0 International License.